Since everyone seems to be flocking to Taiwan since they declared their country visa-free for tourists, I am sharing with you our trip's itinerary. We were there for 5 full days and my Intsik mode kicks in whenever I am in a foreign place because I would always want to maximize whatever experience the place has to offer so kung ano pwedeng magawa, tara! Game! Mhe and Kimmy are also game for anything (which makes them really great travel buddies) but even though they give their full-on support to my travel wants, they also expressed their longing to just sip milk tea somewhere and chill on some days (#sinongmatanda haha), so what I did was an itinerary that has both. Note: This place is really far from where we were staying. Gassssp! We left at around 8am and arrived there at 3pm, so by that time the cable car was already closed and we weren't able to do the other activities anymore. Ideally, you should get there around lunchtime so you can grab a bite at one of its restaurants or binge on their streetfood (always the way to go in Taiwan! ), visit the souvenir markets, go on the cruise and walk in leisure. Note: We booked this one in KK Day since the places are far from each other. Unfortunately, we missed our bus because we were running late so we just met the tour group at Yehliu and by the time we got there, they were already about to leave to go to the next stop. Sayang! But we were able to go to Jiufen and Shifen (one of my highlights was that beautiful waterfalls). PS: Watch out for the #GirlsJusTaiwanaHaveFun Part 2 of my vlog! I shared there our sky lantern experience! By this time, I was just waiting around for Kimmy and Mhe and would usually sit by myself somewhere for fear of buying that pair of Stan Smith and the backpack which I don't need. Lol! Mahirap na! 1. Taiwan is a tourist-friendly country, so buses and trains make going from one place to another really convenient but since it's also quite big you may want to just book a tour for activities far away with Viator, Klook and KKDay. It makes life easier! 2. In creating your DIY itinerary, just check those travel booking sites (mentioned above) and copy what they have. 3. Google maps always come in handy! 4. Come in the cooler months of the year which is October to January because it can get really hot in Taiwan. 5. This last tip may not ring well with most of you guys but I like to use my credit card when it permits when I am in another country because credit cards usually offer the best exchange rates. So there you have it, guys! 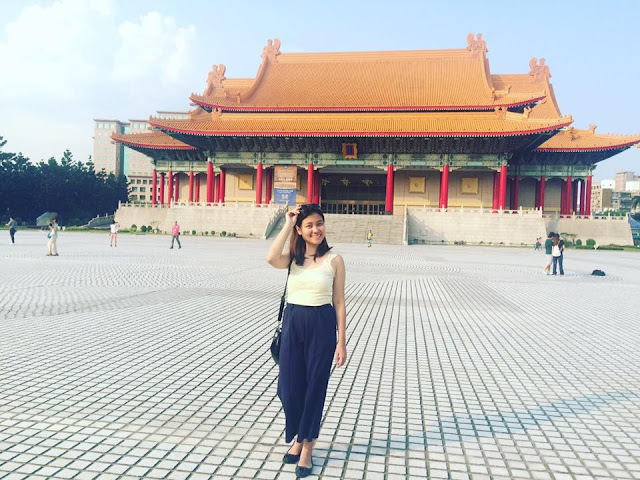 If you have been to Taiwan, share your tips by leaving comments on this post!